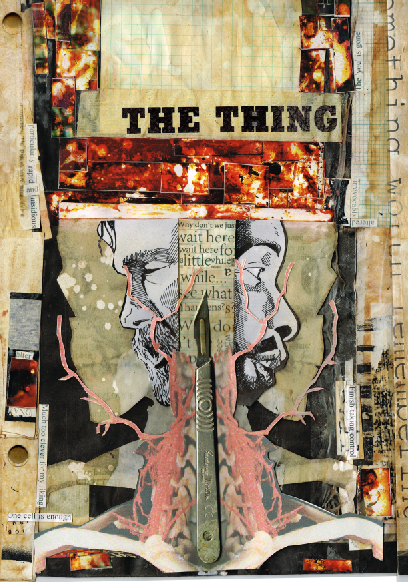 Celebrating the 35th anniversary of John Carpenter’s sci-fi/horror classic film “The Thing”, this 400-page first volume hardcover of Printed In Blood’s ARTBOOK series features over 375 brand-new pieces of artwork created specifically for this collection. Bringing together artists from the worlds of comics, fine art, animation and illustration. Over 350 artists from all over the world have contributed art for this comprehensive collection. With 10 years’ experience as a Freelance illustrator Roy can cater to all your artistic needs. Whether you need Comic book Sequential's, Illustrations or re-creations, if you wan… Show more. Send a message directly to Roy Huteson Stewart.